Could popular singer Ed Sheeran be secretly married by now to his childhood sweetheart Cherry Seaborn? At least, that’s what his recent interviews in the U.S. suggest so. If such is indeed the case, then he was successful in keeping his big day- and the big news- under wraps just like the way he was able to keep secret his December engagement until he revealed it on Instagram weeks later. 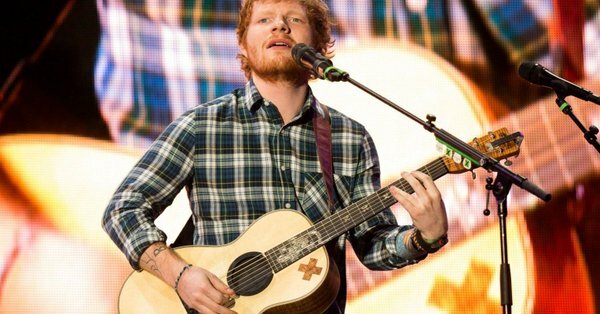 Sheeran was asked in an interview if he has already picked up a date for his wedding. Instead of directly answering, the sensational singer smirked and pointed to a sliver ring he has been wearing since February. Sheeran had been with his childhood friend Cherry for two and a half years together before proposing to her last year. Earlier this year, in February, Ed’s close friend and current support act Anne-Marie teased he was planning to do away with a big white wedding in favor of an intimate one.